The Cosmopolitan supports the cooperative’s mission to aggregate, store, market and distribute locally produced agricultural products from farms and food businesses of southwestern Colorado. Their success is measured by their ability to be economically viable, socially responsible and good stewards of the land and community. The Cosmopolitan serves Nordaq FRESH water to their guests to enhance the flavor of our food. Nordaq FRESH water is eco-friendly, filtered water, bottled onsite—local tap water passes through their patented filter system, to remove impurities and unwanted flavors, while retaining natural salts and minerals for a neutral, balanced and rounded taste. Luxurious texture with a sweet, buttery flavor, Lone Mountain’s 100% Full blood Wagyu Steaks, Roasts, Ground Beef, and Sausages are wet-aged in their own juices. This enhances the earthy, supple mouth feel and incredible decadence. The delicate white lacing that permeates their meat—known as marbling—imparts a creamy texture and rich flavor, not to mention some unique health benefits. All natural without hormones or antibiotics. 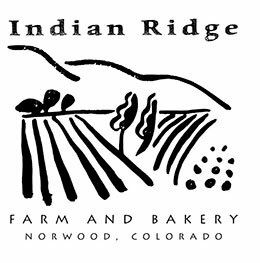 Indian Ridge Farm and Bakery of Norwood, CO (30 miles northwest of Telluride) has been a proud partner with the Cosmopolitan Restaurant for the past 14 years. We produce only the finest tasting grass-fed, organic, and non-GMO poultry. With thanks from our farm to your table.